Many of us have heard of cryptocurrencies and some might even be slightly familiar with certain types such a Bitcoin or Ethereum. Still, the majority of the currencies were primarily concerned with online investing and trading. Times might soon be changing. Experts estimate that five percent of Americans have some type of cryptocurrency holding and this number is expected to grow into the foreseeable future. This actually makes a great deal of sense, as they are an excellent and secure form of payment. Consumers have been looking for ways to purchase products online without providing their credit card details or their bank account information, so this form of currency might very well represent the wave of the future. What does this mean for those who are involved in businesses from home? Let’s first take a quick look at the basic principles behind this form of digital currency before examining why it is set to become a very powerful option. While the name might sound a bit mystifying, the principle behind this form of virtual currency is rather simple. Cryptocurrencies are digital “blocks”(algorithms) that have been attributed a specific value. In other words, they represent a “digital asset” that is used as a form of exchange between two or more parties. As you might have already guessed from their title, one of the main benefits of any type of cryptocurrency is that it is nearly impossible to counterfeit and no personal details are attached to a holding. In other words, you will never expose your personal or banking details during an online transaction. You might also be surprised to learn that the first cryptocurrency (Bitcoin) was invented as far back as 2008. Another very beneficial aspect of cryptocurrencies in relation to other forms of money and financial transactions is that their value is not governed by any type of central bank. To put this another way, we will never see the actions of the Federal Reserve (such as an interest rate hike) impacting the value of a digital currency such as the Bitcoin. Their worth is instead determined by the law of supply and demand as well as the associated market volume at any given time. 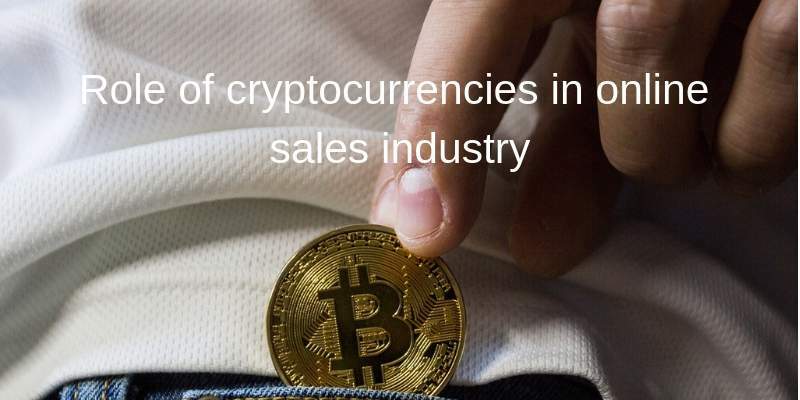 Consumers like the anonymous nature of these currencies and many online retail providers are already beginning to accept such options as legitimate forms of payment. This is the very same reason why it is a good idea for those who are involved in home-based businesses to consider adding such a possibility to their existing payment methods. So, what might we expect to see in 2019 and are there any risks associated with cryptocurrencies? The Next Online Retail Revolution? Many individuals who have started a business from home are wondering how quickly they will need to adapt to this so-called revolution. However, it is not likely that we will witness this form of currency overtake traditional forms of payment any time soon. It is much more probable that a steady increase in the number of transactions is on the horizon. What might this mean for the consumer as well as the online seller? The first thing to take into account is that the value of cryptocurrencies such as the Bitcoin has been known to wildly fluctuate on occasion. This is once again (primarily) due to the principle of supply and demand that was mentioned within the previous section. Still, this will not impact the seller. He or she will always receive the value of the goods or services that is offered to the end user. The same cannot always be said in regards to the buyer. If the value of a specific currency suddenly drops, it would be similar to the value of the dollar plummeting. A unit such as the Bitcoin could suddenly be worth much, much less. This brings us to the final point. If cryptocurrencies are known to experience such wild fluctuations on occasion, why are they becoming so attractive? The bottom line is that an increased number of users should bring a greater degree of stability into the marketplace. There are also rumors that there may be some form of centralized control in the not-so-distant future although many would disagree with such a statement. Cryptocurrences could very well transform the ways in which typical online transactions take place. Still, the principles involved and the innate relationship between the buyer and the seller should remain unchanged. As this is an ever-changing concept, it is always a good idea to keep abreast of the latest online retail trends as well as to appreciate some of the latest ways to make money selling products from home. The digital revolution continues and it pays to stay well ahead of the curve.